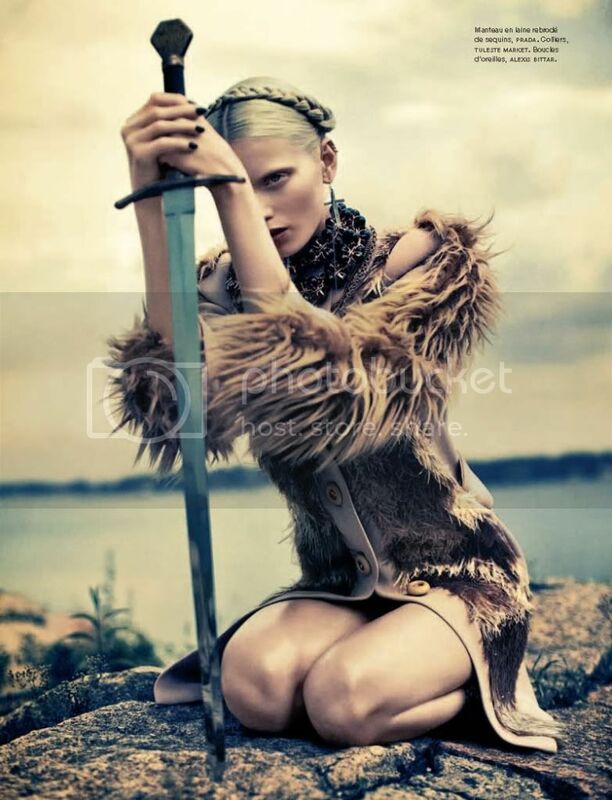 Found this amazing editorial with Abbey Lee. To me it reminds me of the crusading kind of theme and I think Abbey did an amazing job! And of course not to mension the clothes that are simply stunning! Don't forget to vote for me and like my piture here! P.S. I'm so sorry that some of the photos can't be seen on my blog at the moment, photobucket has been giving me a hard time, but I'm working on it! wow, lovely post!! this photos are amazing:) i follow you, if you like my blog follow me! Gorgeous pictures. The last picture is so "Game of Thrones." The Pics Are just PErfect soo good ones. Such nice pictures! Great magazine!! !